Following a career-defining and life-affirming comeback year for British singer, songwriter and musician LAOLU, which has seen the South East London native garner strong support from Spotify, BBC 1Xtra, Clash Magazine, PRS For Music, The Line of Best Fit, Earmilk, Popdust and Nation Of Billions, among others this year, LAOLU is excited to unveil her long-awaited debut EP titled All In Me, as premiered via Gal-Dem. After nearly three years away from music, because of her battle with depression, LAOLU began teasing her debut EP at the top of the year, with the well-received title track ‘All In Me’, which was championed by The Line of Best Fit and Noctis Magazine. This was followed by the Clash Magazine and PRS For Music supported ‘How To Feel’, and summer single ‘So Right’, which was backed by BBC 1Xtra, Spotify and Earmilk, all culminating in the release of her All In Me EP. Led by these three singles, the 9-track All In Me EP excellently and honestly represents everything that LAOLU has been through and dealt with on her journey to release this project. The record takes the listener on a journey of her life in the past few years, from tackling depression and the frustrations around quitting music, to her love life and past relationships, to her new experiences, new way of life and the pressures of being a 20 something artist in London. From the EP’s moody opening track ‘Buffering’, about feeling stuck in life, and the slow-building minimalist MDMA inducing ‘Like That’, to the hazy Jazz-influenced R&B/Soul offering ‘Disconnect’ and the brutally honest and relatable ‘20’s’ about the unrealistic expectations we put on ourselves in our 20’s, the All In Me EP makes for an intriguing listening experience, from start to finish, held together beautifully by LAOLU’s captivating songwriting and enchanting voice. Speaking about the inspiration behind her All In Me EP, LAOLU says, “This E.P represent a new beginning, I started this E.P almost by force to get out of depression and though it was hard, I continued no matter what. There have been so many bumps and delays along the way but I achieved what I set out to do. New music, released from depression and I am doing what I love and what I am destined to do which is to sing and write music”. 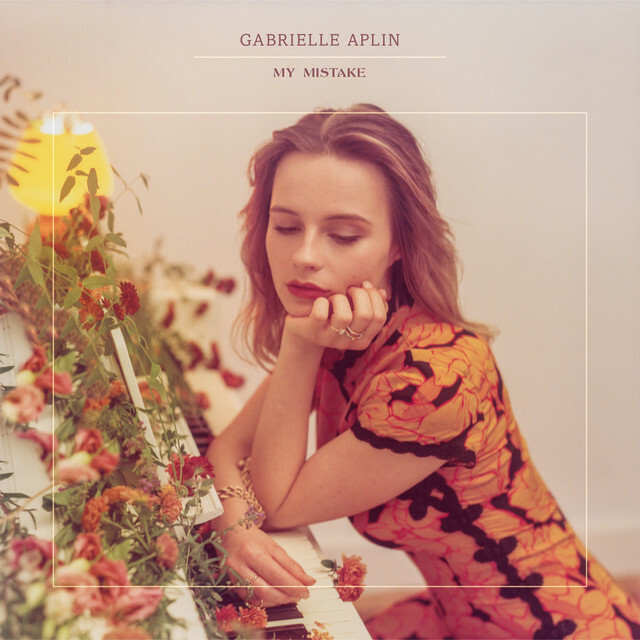 Gabrielle Aplin - "My Mistake"
Gabrielle Aplin has released her brand new single ‘My Mistake’, the first song to be taken from her forthcoming third album due for release next year. Having just signed a major global deal with AWAL, the release is the first through the new partnership between AWAL and Gabrielle’s own successful label Never Fade Records. A beautiful and raw piano ballad, ‘My Mistake’ finds Gabrielle baring her soul with a powerful and emotionally gripping voice – one that is sure to resonate with her ardent fanbase. Gabrielle Aplin will be performing live at the annual celebration of her label Never Fade Records at Union Chapel next month (Dec 4th). Never Fade artists and friends will join her including Hannah Grace, Lauren Aquilina, Lewis Watson, Orla Gartland, Sonny and more as they perform together in a very special show kicking off the festive season. Gabrielle Aplin will be releasing a brand new album via her new deal with AWAL, while continuing to develop incredible music talent on Never Fade Records. Asanté has been a triple threat performer since the age of three, finding his introduction into the creative world in church in New York. He made his Broadway debut in the original cast of the Las Vegas production of the Lion King as the lead role, young Simba, and performed in Debbie Allen’s spinoff, Twist, at the Alliance Theater in Atlanta. Since then he has been featured in commercials for companies such as Google and Taco Bell, as well as television shows: ABC’s American Crime, Netflix’s Alexa and Katie, and USA’s Unsolved: The Murders of Tupac and the Notorious B.I.G. His burning desire to be in the spotlight and his intense drive and motivation to succeed has pushed him to fully devote his time to a career in music. Working day and night around the clock, Duane has further uncovered and expanded upon his musical talent, which is made evident through his lyricism and melodic vocals. He is not only able to quickly and effectively write a unique original song, but also able to execute his own lyrics and melodies like a veteran in the industry. Why does he stand out? Real meaningful relatable lyrics that make listeners feel the emotional value that he brings in each song. His vocals, combined with his ability to rap, dance, and practice acrobatics, make him similar to an artist like Chris Brown.Everyone who meets Duane loves his personality and can’t get enough of him. He has a spectacular stage presence as he has been in the spotlight for his entire life. He is cool, flashy, everyone loves him and wants to be around him. Brings light to a room and is an entertainer at heart. estef is a soulful, jazzy, pop r&b singer/songwriter based in Nashville. Raised on soul and Motown, her sound marries infectious hooks and irresistible grooves with striking honesty and clarity in her lyrics. Kid Indigo - "Trust Issues"
Strandels - "Need Your Love"
After their EP debut ’Chance of Rain’ and their follow up single ’If God Has a Plan’ the sibling duo Strandels - starring Tova and Sixten Strandell, has been supporting Per Gessle (Roxette) during his summer tour, performed at the Great Escape Festival in England and constantly been working in the studio on new material. Now the duo is back with their brand new single ’Need Your Love’, which is written by both Tova and Sixten as well as with names like Jimmy Harry (Kelly Clarkson, P!NK) and Amy Sheppard (Sheppard). With an organic folk-pop sound and a bit of flower power, ’Need Your Love’ is a song that captures the essence of the musical authenticity that Strandels wants to convey. Starley - "Love is Love"
Australian pop/dance artist, Starley, has released her new beautiful, and deeply personal single ‘Love is Love’. After the international success of her debut single, ‘Call on Me’, Starley spent the last year in the studio working on her forthcoming untitled album slated for a summer 2018 release. ‘Love is Love’ is the follow up to her global smash hit ‘Call on Me’ which went 4 x Platinum in Australia, 1xPlatinum in the US (and so on) with more than 1 billion streams globally. There are few artists in the world who can claim to have accomplished as much, in such a short period of time, as Sydney phenomenon Starley. Starley’s captivating music is written with a combination of integrity and deeply personal lyrics that clearly resonates with her fans, adding to her chart success so far. “The cover for ‘Love is Love’ is not to be about me. Although, this song is my personal story, it’s a song for everyone, so I felt like a heart was the perfect way to go. The plot twist is that the colors I chose are the very colors of the bisexual flag. I feel like there should be a flag that represents love in all forms - interracial, interfaith, gay, straight, bisexual, trans, and so on. Until that exists, I’ve chosen to use the colors of the bisexual flag because they relate to my personal journey.” comments Starley on the inspiration behind her single artwork. Sam Woolf and the Como Brothers - "On It"
Singer-songwriters Sam Woolf and The Como Brothers are releasing " On It ", the soulful new single from the upcoming EP Backbeat in the Morning. The single and EP were co-written and co-produced by The Como Brothers and Woolf, and recorded in New York City with Grammy-winning engineer Kenta Yonesaka (Pharrell Williams, Kendrick Lamar). To celebrate the single and EP, Woolf and the Como's kicked off 2018 with an enthusiastically received release party performance on Long Island, New York. Click here to view the new "On It" music video! 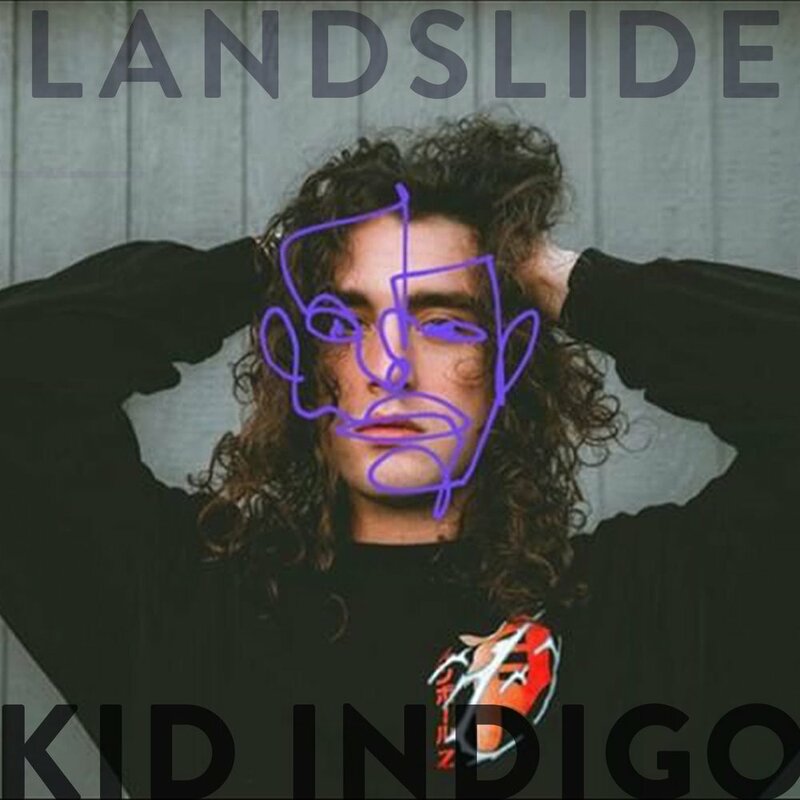 After gaining attention on American Idol in 2014, Woolf quickly debuted at #9 on Billboard's Heatseekers in 2014 with his EP Pretend produced by Grammy-winning producer Danny Blume (Iggy Pop, Jewel). For Backbeat in the Morning, New York's The Como Brothers teamed up with Sam. Inspired by pop, rock, blues, and hip-hop, the Como Brothers have established themselves as premier singer-songwriters working with industry legends like drummers Steve Jordan, Aaron Sterling and keyboardist Andy Burton. Their music has been placed in MTV's Real World Portland & St. Thomas, E! Network's Keeping up with the Kardashians, The Oxygen Channel's Best Ink, two Indie movie Soundtracks and a Canon Consumer Electronics Trade Show Commercial. Their songwriting has been recognized by receiving numerous songwriting awards. Combining pop and rock with soul and hip-hop, drawing from influences ranging from Justin Timberlake and The Beatles, the six singles on Backbeat In The Morning showcase the musicality of the trio. Sam's voice, which Keith Urban compared to butter, shows a beautiful range. Matt Como laid down grooving bass while Andrew Como played guitar, drums, and traded off singing lead vocal with Woolf throughout the EP. "Coming Home" opens the EP with optimistic lyrics set to Sam and Andrew's dulcet harmonies amidst Andrew's breezy guitar strums and wistful harmonica blasts. "On It" is a smooth groove with funky guitar licks. The hip-hop vibe continues with Andrew rapping on "Diamonds on My Chain" while Woolf sings the hook. The groove rolls on with "Twisted" hitting a romantic three-part harmony finish between the trio aptly titled "Sunshine." Elley Duhé - "Can You Touch"
Rising singer songwriter Elley Duhé releases her new track, ‘Can You Touch’ via A Creative Music Group / Columbia Records. Click here to listen. Written by Elley Duhé and produced by Rahki (Kendrick Lamar, Eminem, Mac Miller), the track is both poignant and empowering. Growing up in the small coastal town of Daulphin Island, Alabama, Elley Duhé always felt she was different from other kids her age. This pushed her towards the comfort of music and inspired a life-long passion for singing and songwriting. At the age of 14 Elley wrote her first song with a guitar she received as a gift from her father. She would gather with her family and have jam sessions with her dad and uncles, finding inspiration to create music from the deep southern art, food, and culture that surrounded her. Throughout her later teenage years, Elley began playing for live audiences and traveled extensively throughout Nashville, Austin and L.A. to perfect her songwriting skills. Elley has an extensive musical background, having written for Usher and worked with the likes of Illangelo [The Weeknd], Jesse Shatkin, Arcade and more. Today, she finds inspiration from artists of all genres including Michael Jackson, U2, Jimi Hendrix, Dolly Parton, Missy Elliot, and Tupac, which shines in the unique style of her music. With her uplifting messages, powerful vocals and the upcoming release of her debut EP, Elley is an artist to watch in 2018. Alexander Padei - "Got Me Good"
Tune into "Got Me Good" by Alexander Padei. Comment your feedback below. 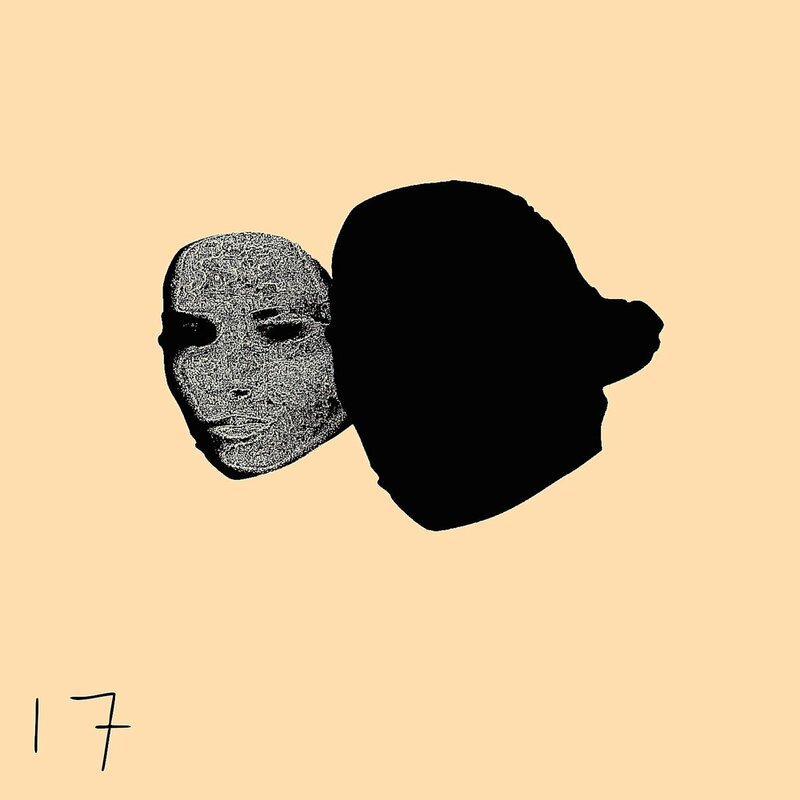 Anuka delivers with smoothness on "Seventeen". It builds up with a light percussion pattern then slowly but surely turns into a surreal arrangement. With the concept being about wishing to be seventeen again; tune in below & let us know if you can relate. Maivo & Louise Hu - "Contigo"
Very energetic production along with a smooth blend of vocals makes "Contigo" a great song to listen to. Tune in to hear for yourself! KOPS - "Sorry Not Sorry"
Here comes Kops with a new track about inebriated nights, self-loathing, and the torment of unfulfilled love. The song’s narrative unfolds with a girl whose ambiguous signals push a young man over the edge. Though romantically involved with someone else, she drops by his place late, initiating intimate thoughts in the young man's mind. He knows it’s a lost cause. His imagination moves her fingertips from her phone to his physique, conjuring the dream that she could be his. Kops plays out the story over the trademark beats and stabbing synths we’ve come to know him by. "The 20-year-old talent, KOPS, is a member of Official Music Dk, a coop of artists and producers who write and record in an old church tower studio. Here in Copenhagen, high above Nørrebro's rooftops , the young KOPS churns out hook after hook in his signature style. With his plethora of percussive and groovy tracks , KOPS is looking to cement his unique sound and songwriting in today's pop scene." Don Neil - "Hey Donnie"
Today, Don Neil is releasing a new track titled "Hey Donnie" it is available across all digital platforms. Don Neil, now 20, is a young, hungry and most importantly, talented rap artist from Baltimore, Maryland. Whose musical influences range from his uncle 100GrandMan, who is a Baltimore based rapper, to Kid Cudi, J.Cole, Chance The Rapper, and Childish Gambino. One early self-released gem - "I'm Weak" garnered over 200K plays independent . Dawned by multiple media outlets as "...definitely an artist to pay attention to..." "...the revelation of talent continues with 19-year-old newcomer Don Neil, who liberated an inspirational new music..." . Highlighted by soaring melodies and infectious percussion, acclaimed producer Max Styler exhibits previously unseen range on "Heroes." Teaming up with rising vocalist Nevve, the single triumphantly embodies the power of love on the most pop-driven offering of Styler's nascent career. "'Heroes' is a little more straightforward than some of my previous work," says Styler of the new single. "When making the track, I was in the mood for something happy and upbeat." Breaking into the scene and signing with Dim Mak at just 18 years old, Max Styler has conquered innumerate milestones in his young career. The San Luis Obispo-native has thrown down at some of the largest festivals in the world and is backed by industry giants such as Steve Aoki, Diplo, The Chainsmokers, and DJ Snake. 2017 has been a phenomenal year so far for the San Luis Opisbo native. His collaborative single "Roller Coaster" with Dirty Audio rose to number three on the Beatport charts during its first week, and he followed it up with his epic MAKJ collaboration "Knock Me Down" which went on to be used in the 2017 Fall Promo campaign for STARZ network. Constantly refining and maturing his craft, Styler has braved experimentation in his latest works including "Secrets feat. CXLOE," which was featured in Buzzfeed's Best New Music: Our Fall Favorites on Instagram and Snapchat Discover, an official remix of Prince Fox's "Just Call feat. Bella Thorne," and now "Heroes." The burgeoning artist isn't slowing down anytime soon and is sure to turn heads whatever direction his music goes. Argüello (ft. Brandyn Burnette) - "Forever"
with the likes of Steve Aoki, Tiesto, and Oliver Heldens. "Primal" G.H. Hat's first EDM song was on Soundlcoud Top 50 Triphop chart for over 14 straight weeks. "Joyogistic" G.H. 's second EDM song was also on Soundcloud's TripHop Top 50 Chart for several weeks. "Piano Jam (Ode to Kygo)" has been on Spotify's Discover Weekly Official Playlist for over 1 year now. "Piano Jam 2 (Ode to Kygo)" has been on Spotify's Discover Weekly Official Playlist for several months now. "I Got a Problem (I Wonder)" # 4 on Billboard's Breakouts for Dance Club Songs. "I Got a Problem (I Wonder)" # 10 on Billboard's Top Single Sales Chart. Philip James - "Learn to Love"